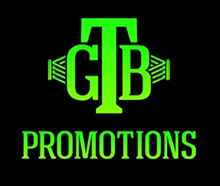 CARLTON, MN (April 8, 2016) – Unbeaten knockout artist Murat “Iron” Gassiev (22-0, 16 KOs) takes on hard-hitting Jordan Shimmell (20-1, 16 KOs) in a 12-round cruiserweight world title eliminator that headlines Premier Boxing Champions (PBC) TOE-TO-TOE TUESDAYS on FS1 and BOXEO DE CAMPEONES on FOX Deportes Tuesday, May 17 from Black Bear Casino Resort in Carlton, MN. The action begins at 9 p.m. ET/6 p.m. PT and features an eight-round heavyweight showdown between unbeaten Wes Nofire (19-0, 15 KOs) and former title challenger and Minnesota-native Joey “Minnesota Ice” Abell (31-9, 29 KOs) and hometown prospect Javontae Starks (13-1, 7 KOs) in an eight-round super welterweight affair against Olympic Bronze medalist Yordenis Ugas (15-3, 7 KOs). Gassiev and Shimmell will square off for the top spot for the cruiserweight title currently held by Victor Emilio Ramirez and the winner will be in line to face the winner of the unification bout between Ramirez and Denis Lebedev also taking place in May. Tickets for the live event, which is promoted by Warriors Boxing in association with Seconds Out Fights, are priced at $20, not including applicable service charges and taxes and are on sale now. Tickets are available at www.blackbearcasinoresort.com or by calling 1-888-771-0777. A fast-rising 22-year-old contender, Gassiev is undefeated since turning pro in 2011 and has delivered three straight stoppage victories since making his stateside debut in January 2015. Most recently, he earned a no contest in a December fight with fellow unbeaten Isiah Thomas after Thomas was ruled unable to continue due to a blow from Gassiev deemed after the bell. Representing Vladikavkaz, Russia, the Abel Sanchez-trained fighter owns victories over the previously unbeaten Leon Harth and veterans Felix Cora Jr., Ismail Adbdoul and Levan Jomardashvili. The 27-year-old Shimmell is a former amateur standout who became the first heavyweight to win four Michigan Golden Gloves titles. The Hudsonville-native won his first 19 pro bouts before dropping a decision to fellow unbeaten Isiah Thomas but rebounded with a victory over Willis Lockett in February of this year. He owns victories over a slew of veterans including Damon McCreary, Epifanio Mendoza, Galen Brown and Jonathan Corn. A Cherokee-citizen born in Oklahoma and training out of Miami, Nofire will look to make a mark when he faces his toughest test to date on May 17. The 29-year-old picked up victories in 2015 over Joell Godfrey, Sylvester Barron and Yasmany Consuegra and has stopped seven of his last eight fights inside the distance. Fighting near his hometown of Champlin, Minnesota, Abell has challenged for a piece of the heavyweight crown and has shared the ring with current heavyweight king Tyson Fury. He picked up victories on 2015 over Juan Goode and Travis Fulton and has taken down veterans Maurenzo Smith, Josh Gutcher and Galen Brown. Representing Minneapolis, Starks racked up an impressive 98-16 amateur record before turning pro in 2009. The 27-year-old picked up six victories in 2014 and 2015 and will be looking to bounce back from a competitive loss to unbeaten Samuel Figueroa in October. He will fight in his home state for the sixth time as a pro. Follow on Twitter @PremierBoxing, @MuratGassiev, @TeamShimmell, @NofireBoxing, @JavontaeStarks, @WarriorsBoxingProm @FS1, @FoxDeportes and @Swanson_Comm and become a fan on Facebook at www.Facebook.com/PremierBoxingChampions, www.facebook.com/foxdeportes Highlights available at www.youtube.com/premierboxingchampions.